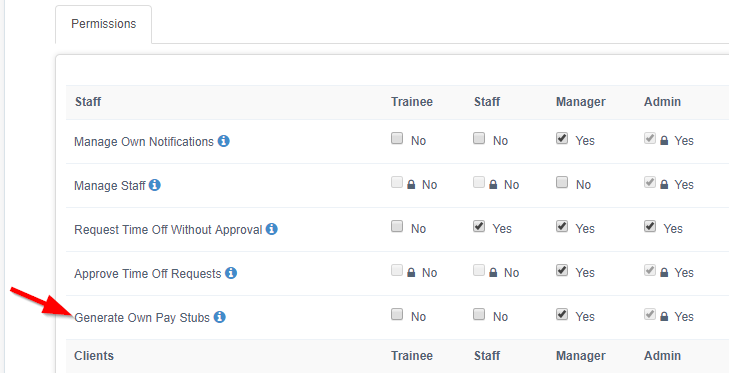 By default, a user (trainee/staff) cannot generate their own pay stub/invoice. 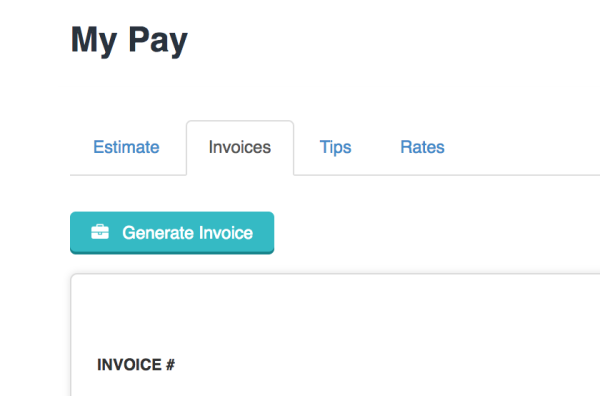 To allow them to create their own pay stub/invoice, you will want to check the "Generate Own Pay Stubs" or "Generate Own Invoices" row for the appropriate column box in the Permission Settings. 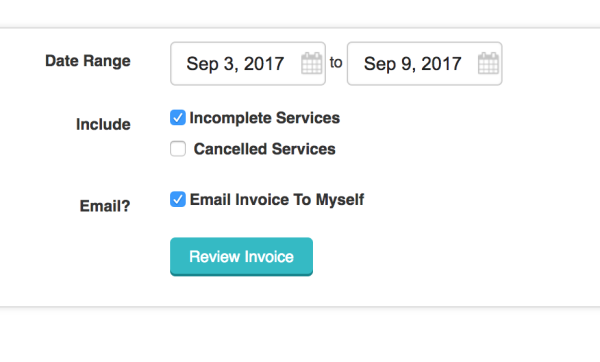 When a user generates their own pay stub/invoice they will navigate to "My Pay" and click on the "Pay Stubs" or "Invoices" tab. 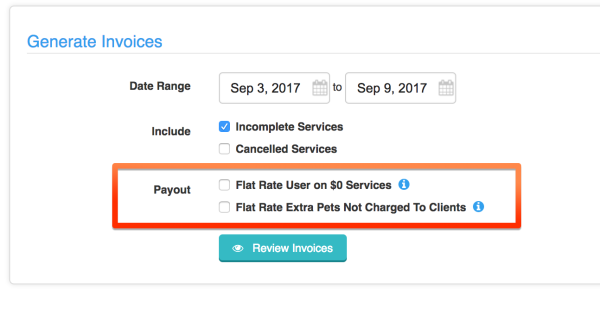 These will be automatically set based on the settings you have configured in Settings -> Company Settings under "Staff Pay Stub Defaults" or "User Invoice Defaults".